Welcome and thank you for visiting my website. 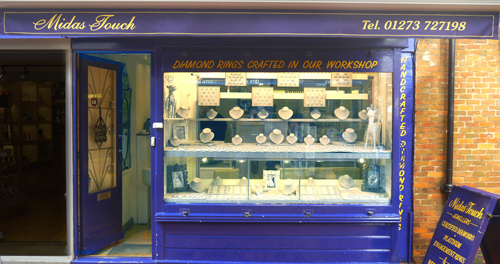 I am Stephen Cornford, the owner, proprietor and working jeweller of Midas Touch in the famous Lanes in Brighton on the Sunny South Coast of England. When I was 14 years old I picked up my first piece of jewellery with an interest in replacing a missing semi-precious stone that would return it to the desirable ornament it had once been. This was the first of many. Family and friends encouraged me and would buy these trinkets and I was gripped. As my interest grew, a wider audience was needed and so I began to sell items at a market stall. Later I learned my trade at the bench working for a few years under the guidance and tuition of professional smiths and setters, then, 21 years ago I set up my own business in the Lanes where I am to this day. Back then I sold mostly silver set with semi-precious gems which were hugely popular at that time and my business had not only taken off but was thriving. As time progressed I introduced a few simple gold and diamond items to my stock which were an immediate success. This was so exciting for me. 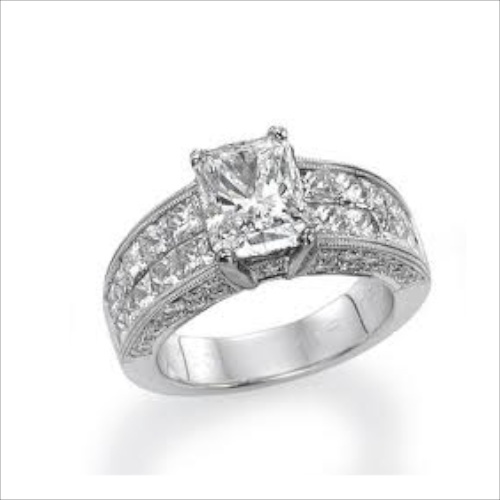 I began to include wedding rings and diamond engagement rings. Since then I have designed and re-designed improved and expanded my range to include gold, white gold, platinum and palladium, certified and non-certified diamond set, high quality jewellery. Today my shop window is a result of my labours and experience and I could not be more pleased than to welcome you and help you to find the jewellery ‘Perfect for You’ hand made by me in my workshop on the premises.